In the United States, over 650,000 children are victims of child maltreatment each year, resulting in physical and nonphysical injuries, which can be both acute and long-lasting. In over 80% of these cases, the perpetrator is one or both of the child’s parents. Theories on the etiology of child abuse have evolved significantly over the past three decades. The causes of child abuse are now appreciated to be a complex interconnected web of influences rather than a single cause—a symptom of a larger disease or diseases of a family or community. 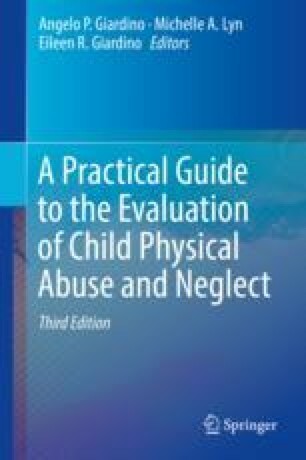 The evolution of thought regarding the etiologies of child abuse has been paralleled by changes in theories of child abuse prevention strategies. Conventional intervention strategies in child abuse prevention have included primary, secondary, and tertiary programs. One of the most studied and effective prevention interventions is home visitation by a nurse or paraprofessional. Other child abuse prevention strategies include in-hospital education and community-based family centers. Due to the complexity of the problem of child abuse, it is not surprising that a universal solution remains elusive. Interventions can be either ameliorative (attending to the current problems) or transformative (addressing the underlying social risks). Future directions of child abuse prevention will involve coordinating successful interventions into a larger community context to achieve the correct intervention at the optimal dosage. This will require an increased dependence on data derived from methodologically strong clinical trials to ensure that interventions which are brought to scale are evidence based. Adverse Childhood Studies. (2009). http://www.acestudy.org/. Accessed 19 Jan 2009. California Evidence-Based Clearing House for Child Welfare. (2008). http://www.cachildwelfareclearinghouse.org/program/92. Accessed Oct 2008. Clemson University. Strong Communities. (2008). http://www.clemson.edu/strongcommunities/about.html#one. Accessed Aug 2008. Clinical Guidelines and Recommendations. (2018). Agency for Healthcare Research and Quality, Rockville, MD. http://www.ahrq.gov/professionals/clinicians-providers/guidelinesrecommendations/index.html. US Department of Health and Human Services. US Preventive Services Task Force. http://ahrq.gov/clinic/pocketge08/gcp08app.htm. Accessed 29 Mar 2009.